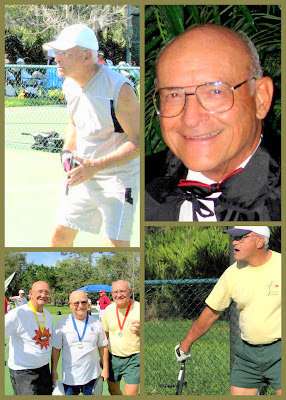 Carl Clous, USAPA Ambassador, South Central Florida. We in Solivita are saddened to inform you that one of the USAPA's most enthusiastic supporters has passed away. Carl Clous, beloved friend and pickleball partner passed away the day before yesterday( Aug. 24th) due to an ongoing battle with various forms of cancer. He was a fighter to the end, not wanting to give in. Two weeks ago he decided to return to his home state of Ohio to be with his son and daughter there. I am forwarding a message and pictures from Solivita's resident pickleball photographer that sums up how we all feel about Carl.